I had some code lying around which linked to the Java compiler etc, and I decided to adapt it to run with Go. I call it an IDE, but it is more primitive than that. 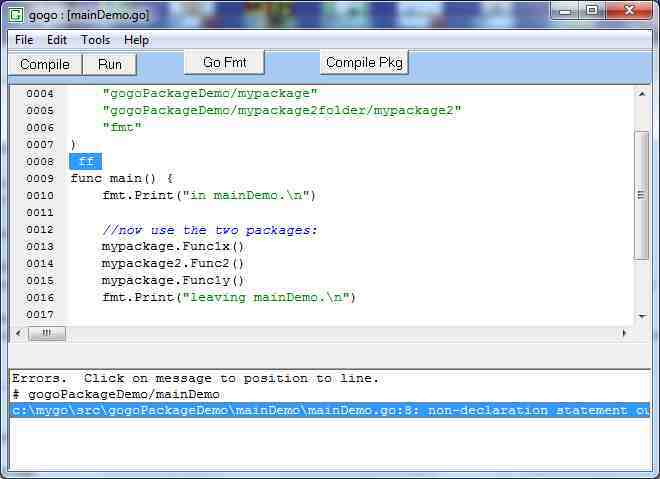 It is open-source, written in Delphi, runs on Windows, and is simpler than most IDEs. It is not as powerful, of course!